As a girl with super blonde, short lashes, I am a self-proclaimed, certified mascara junkie. 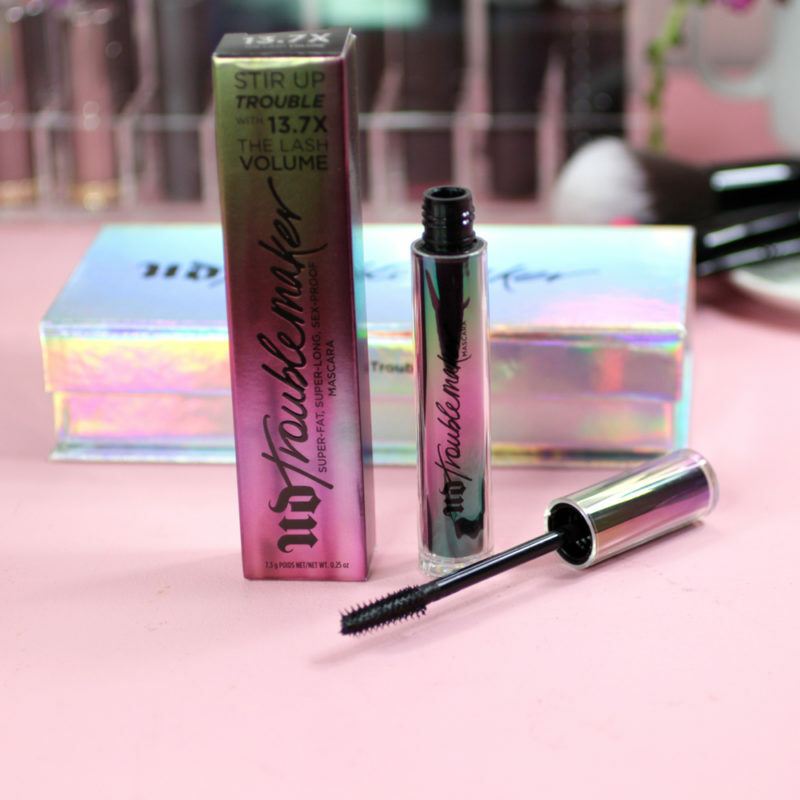 I’m so grateful and appreciative of Jen allowing me to guest blog and share my Urban Decay Troublemaker mascara review today. Mascara is one of two products (the other being concealer) I just don’t feel as confident about myself without it on. Not only do I look for a mascara that darkens, lengthens and volumizes my pathetic little lashes, but I also have sensitive eyeballs so I want a formula that won’t irritate them, smudge or flake. This is quite a bit to ask for in a mascara formula, and as a result I’ve tried hundreds. Before I even get into the actual product performance, I must say this is the most gorgeous mascara component I have ever laid my eyes on! The prismatic, oil-slick, holographic looking tube is absolutely mesmerizing. I’m a big holographic and oil slick fan so just looking at this mascara makes me feel happier inside. 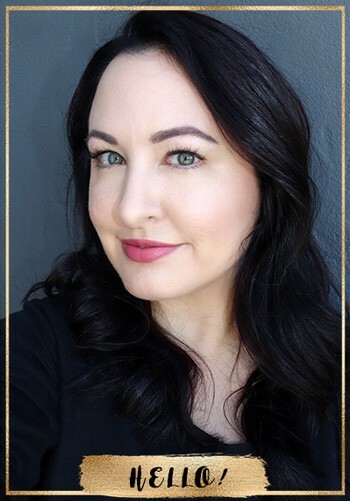 The custom brush has “tiny precision hooks that are supposed to grab lashes to pull the product through for an instant lash-multiplying effect according” to Urban Decay. 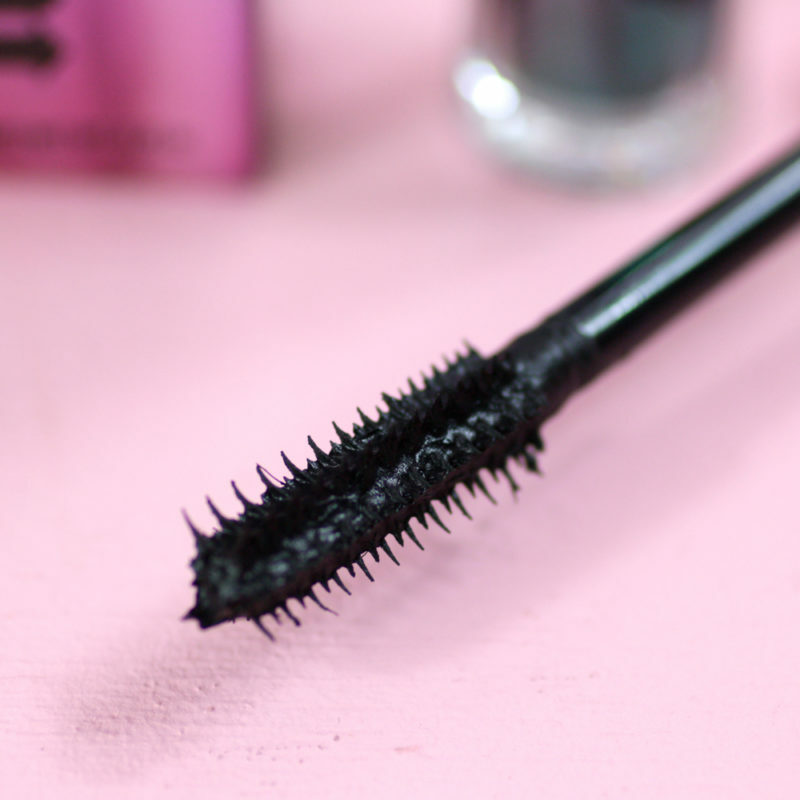 I generally prefer silicone molded brushes as opposed to bristles on my mascara wands and I really like how there are alternating rows of shorter and longer spikes to comb through each and every lash. The width is the perfect size to get down all the way to my lash line without stabbing my eye. 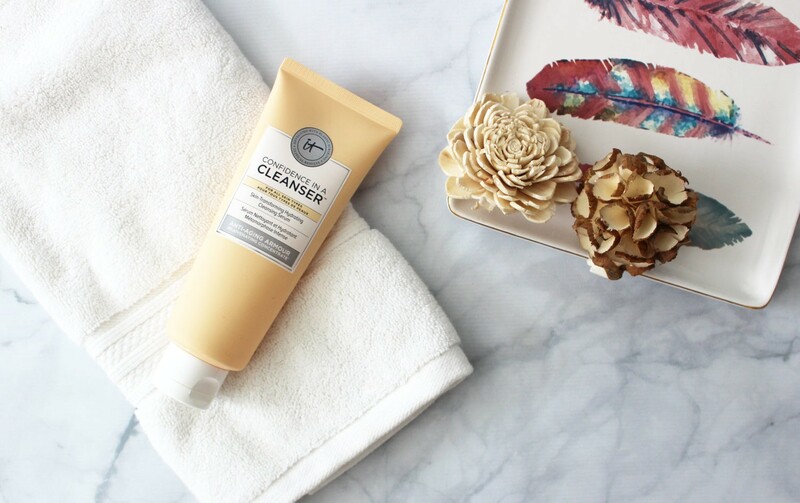 I always like when my makeup has ingredients inside that benefit my skin and hair, so I like that this formula is treating my lashes as I wear it. I was slightly nervous when I read that there are fibers in here, because usually fiber infused mascaras do irritate my eyes. I’m happy to report that is not the case with Troublemaker! Honestly, this mascara is making its way to my Holy Grail mascara list. It’s THAT incredible. 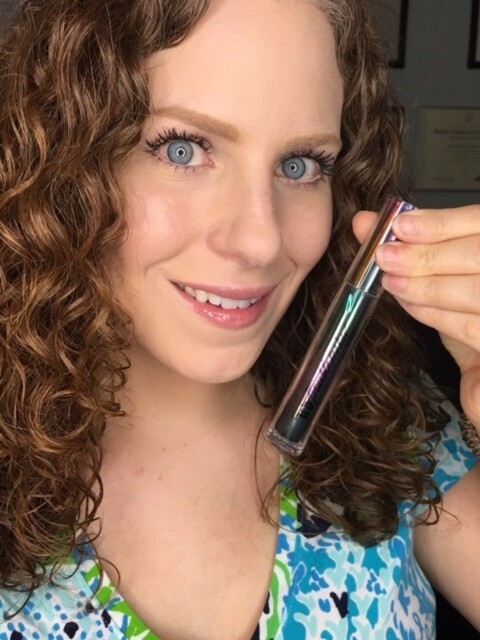 It is a super black formula that make my lashes look longer, thicker and wears all day, even in New York Summer humidity. This mascara didn’t budge until it came time to remove it at night! Troublemaker did not smear, smudge or flake on me. It stayed put, giving me the false-lash effect I crave without having to bother with false lashes, which I am terrible at. 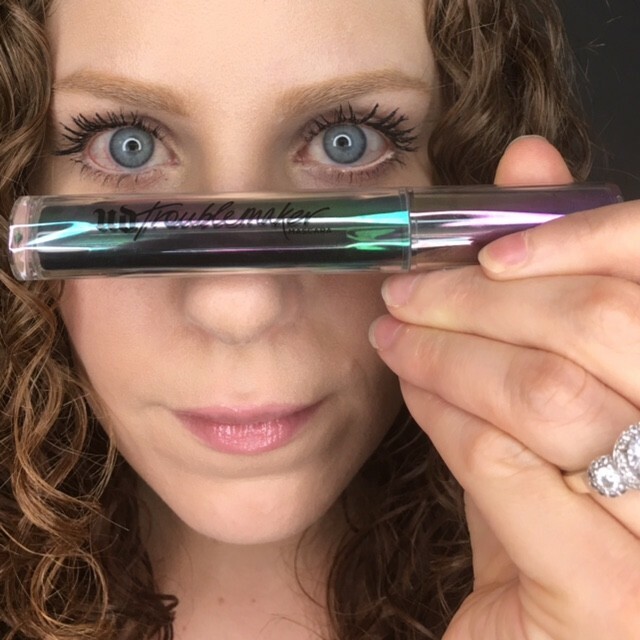 I can’t say enough great things about this incredible mascara! Urban Decay Troublemaker Mascara will retail at $24 for full size and $11 for a mini size and launches in September 2017 at Sephora, Ulta Beauty and select Macy’s stores and online at sephora.com, ulta.com, macys.com and urbandecay.com. Please help to spread the cruelty free beauty love by pinning this image and sharing this post! And click here for more cruelty free mascara reviews. Review and photos by Diane Mary. 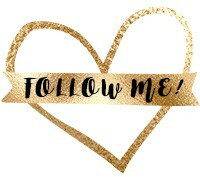 Follow Diane on Instagram at @dianemary126 and check out her beauty blog – www.dianemarybeauty.com. I’m very picky about mascaras. I have long but straight eyelashes and I always curl them. So any mascara I use has to hold the curl. In the past, that always meant waterproof formulas. I’ve tried other mascaras, from drugstore to Sephora. I’ve only found one non-waterproof that I love. I’ll have to pick up the mini of this UD mascara and try it out!